Smaller airlines in the U.S. are struggling with a shortage as they lose pilots to bigger carriers. Aircraft maker Boeing predicts that the U.S. will need 117,000 new pilots by 2036. Just a decade ago, thousands of pilots were furloughed and some abandoned the profession. The shortage has been felt most keenly at regional carriers, where many pilots start their airline careers. The job market didn’t pick up significantly until around 2014. Last year, 10 of the largest U.S. passenger and cargo airlines hired 4,988 pilots, the most since 2000, when they hired 5,105. “It’s the best sellers’ market I have seen in the last 45 years of monitoring airline pilot hiring,” said Louis Smith, a retired airline pilot who runs the pilot-counseling outfit. Smith says forums for aspiring pilots that once drew a couple of dozen people now sometimes attract more than 150. Some hope to make a mid-career change, which was rare just a few years ago. Aaron Ludomirski is one of those career-changers. 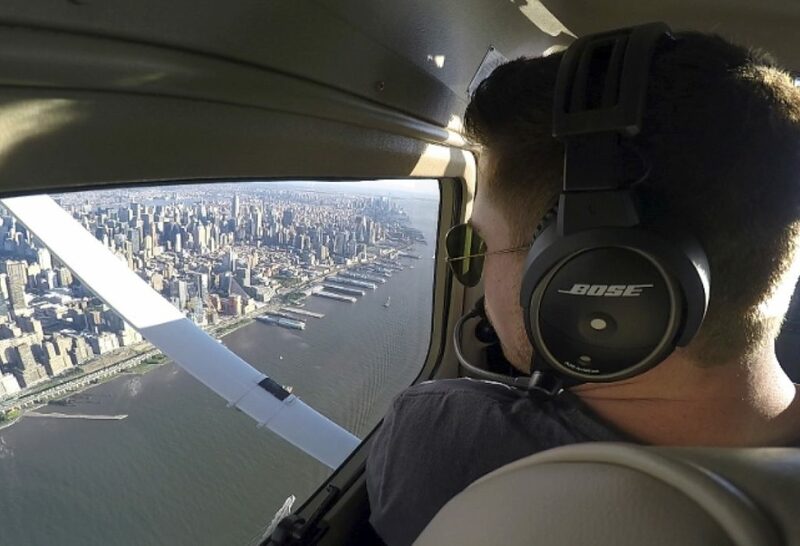 The 31-year-old from Asbury Park, New Jersey, says he always wanted to be a pilot but studied business instead because the bleak job opportunities for pilots in the years after 9/11 didn’t justify the cost of school and flight training. After college he started an online marketing business. Ludomirski did some fresh research and learned that pilots were back in demand – and more would be retiring in the next few years. He quit his job and went to flight school. Now he is working as a flight instructor to gain the required flying time for an airline pilot. “I can interview for and even accept a conditional letter of employment and know I have my dream job lined up for me when I’m ready,” he said. Applications for commercial aviation majors at the University of North Dakota, a big aeronautical school, have more than doubled in the last three years, says Elizabeth Bjerke, an aviation professor and one of the authors of the university’s widely watched forecast on pilot supply. Michael Wiggins, chairman of the aeronautical science department at Embry-Riddle Aeronautical University, says his school’s graduates are getting multiple job offers from regional airlines. Pilots who become captains on jumbo jets that fly international routes can earn more than $300,000 a year. But for anyone starting out in the profession, the training is expensive – upward of $100,000. The Regional Airline Association is pushing to change a 2013 federal rule that requires 1,500 hours of flying time – usually in small, single-engine planes – by replacing some of it with supervised classroom instruction. The group’s president, Faye Malarkey Black, says supervised training would produce aviators with skills more relevant to piloting an airliner. 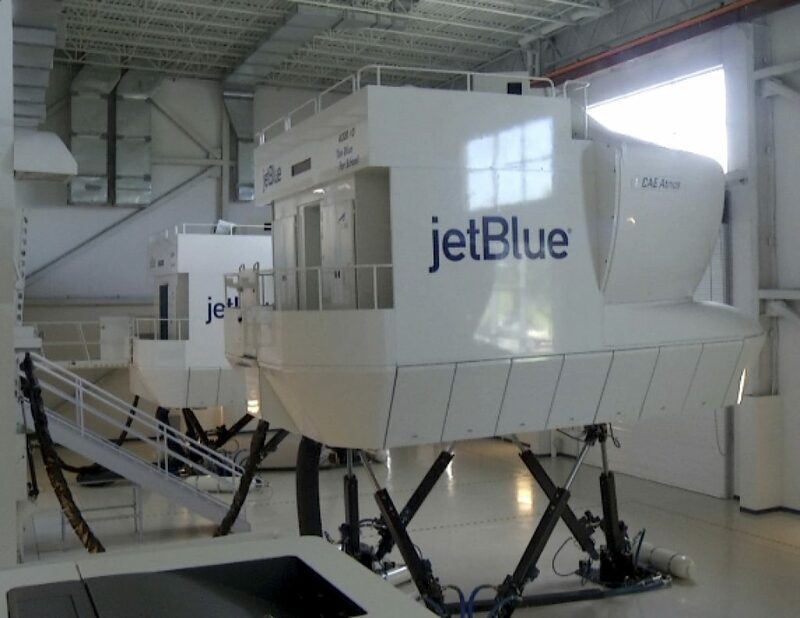 JetBlue Airways is beginning a small-scale program of training people with no flying experience – an approach used by Lufthansa and other international airlines. The JetBlue program costs about $125,000; however, the airline says it is looking into providing financial assistance. Even with assistance, life for newcomers can be taxing. In addition to flying smaller planes for lower wages, they work on holidays and spend lots of time away from home.